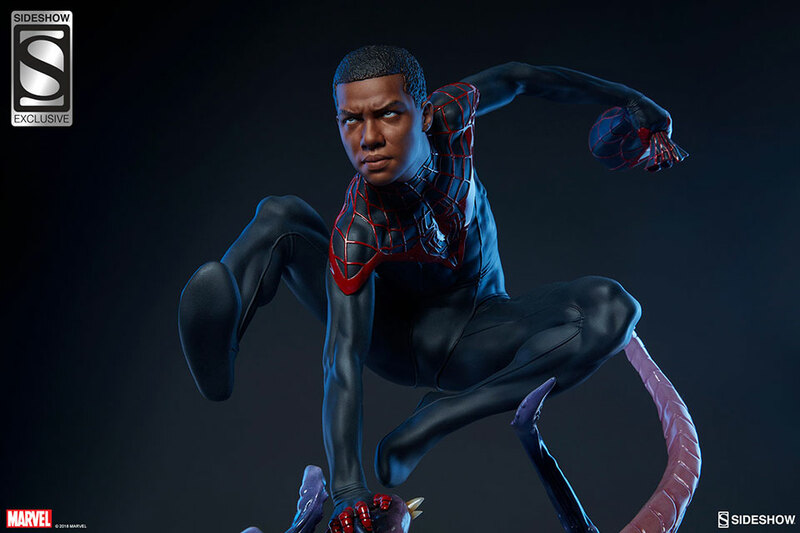 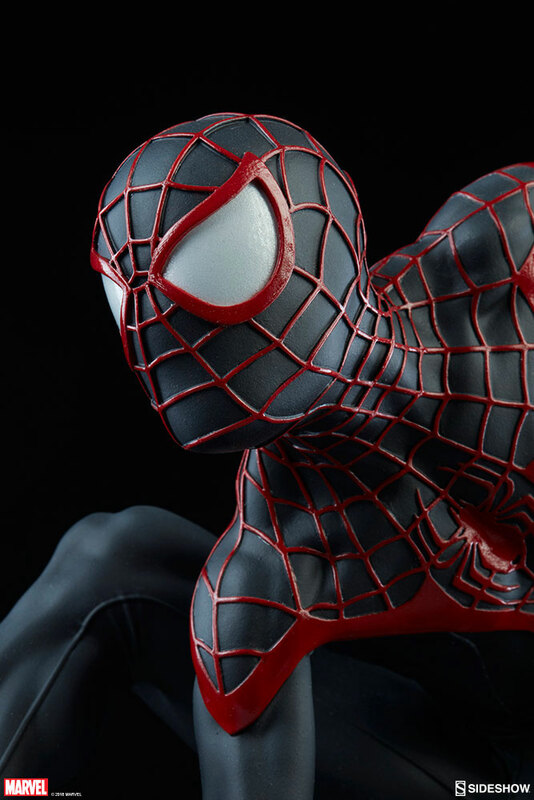 Sideshow Collectibles created this badass statue of Miles Morales as the Spider-Man. 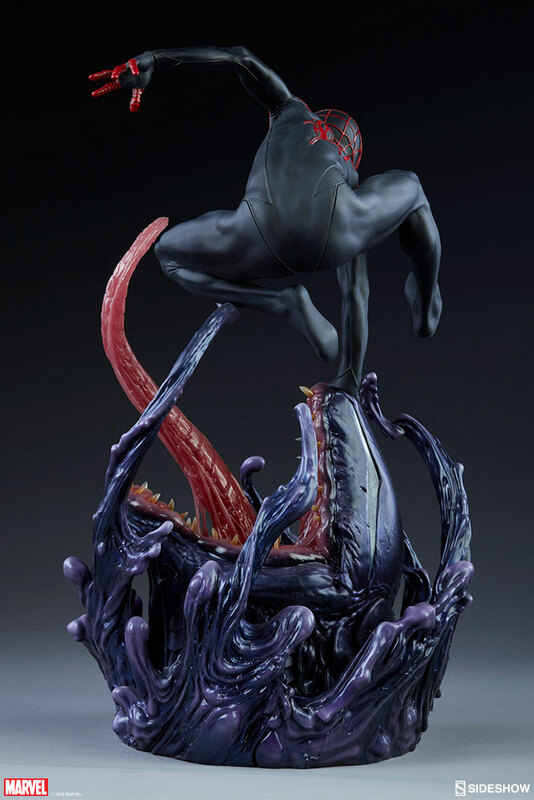 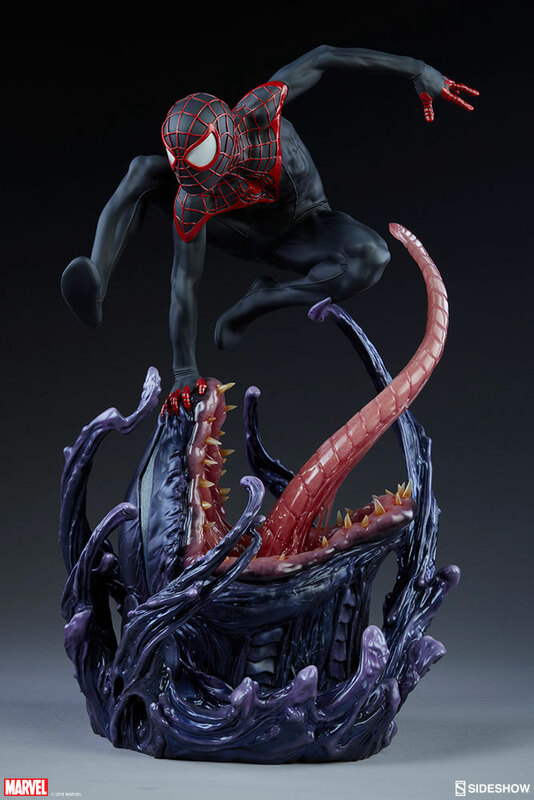 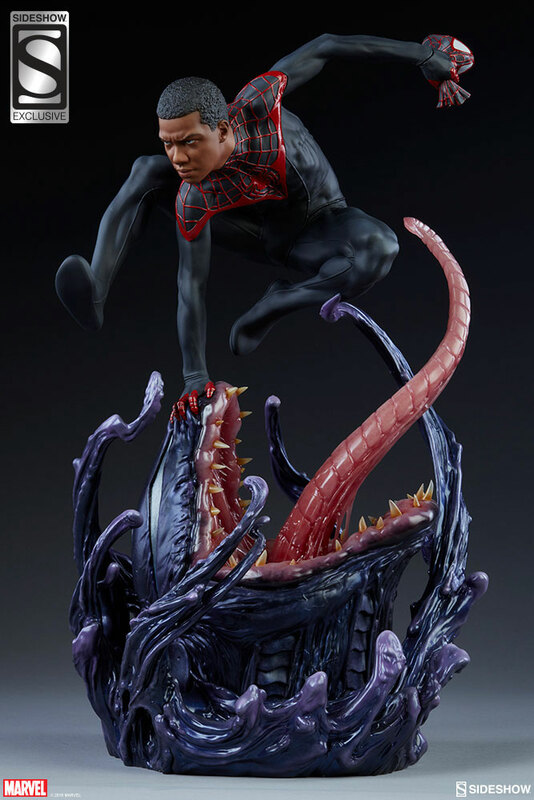 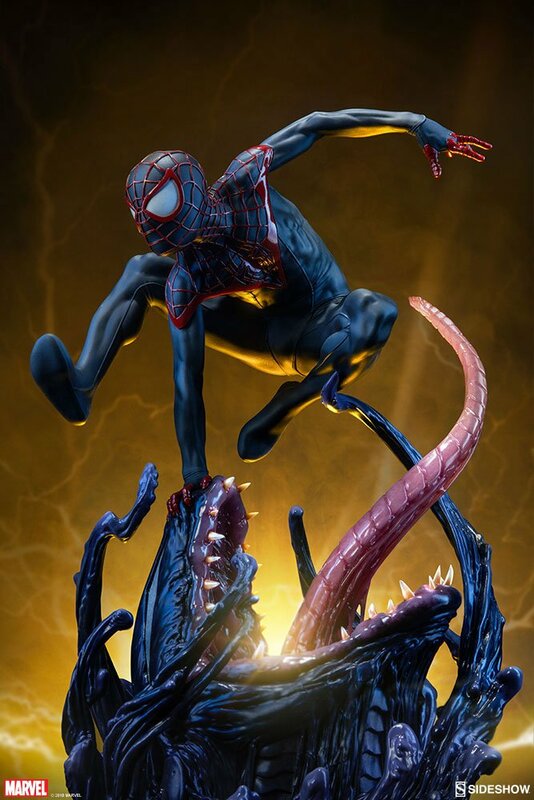 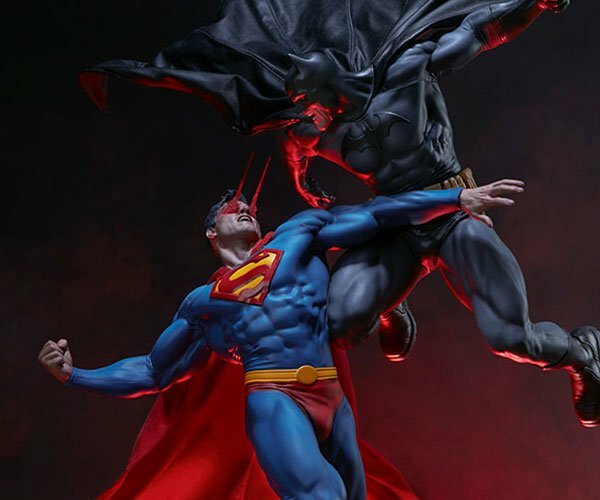 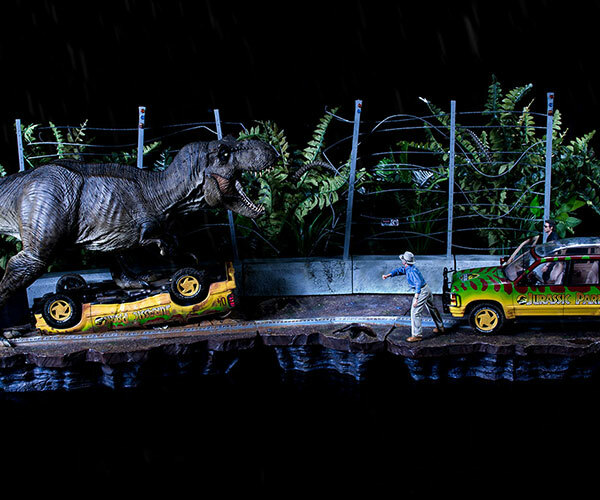 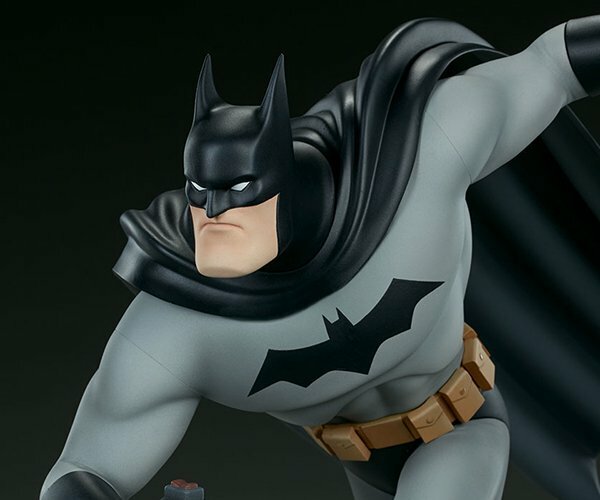 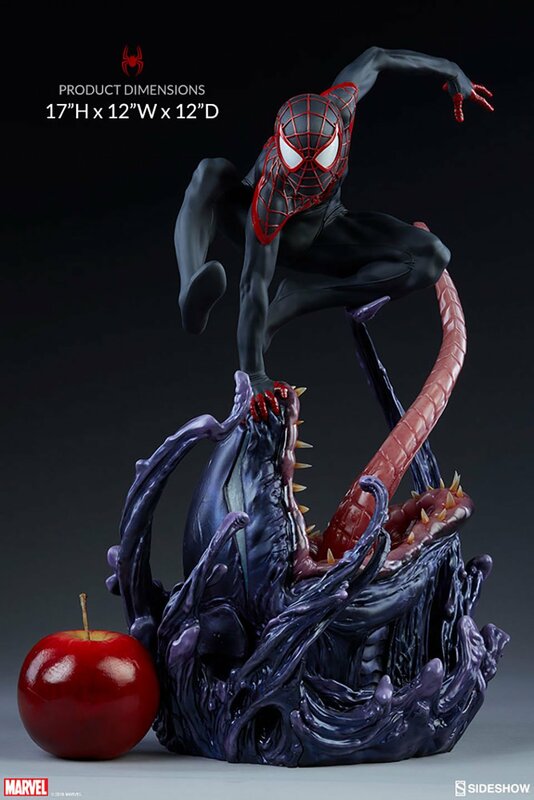 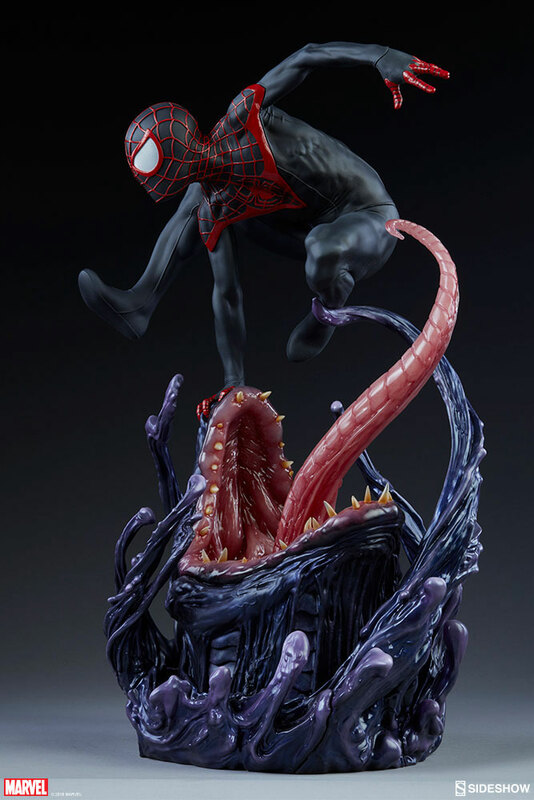 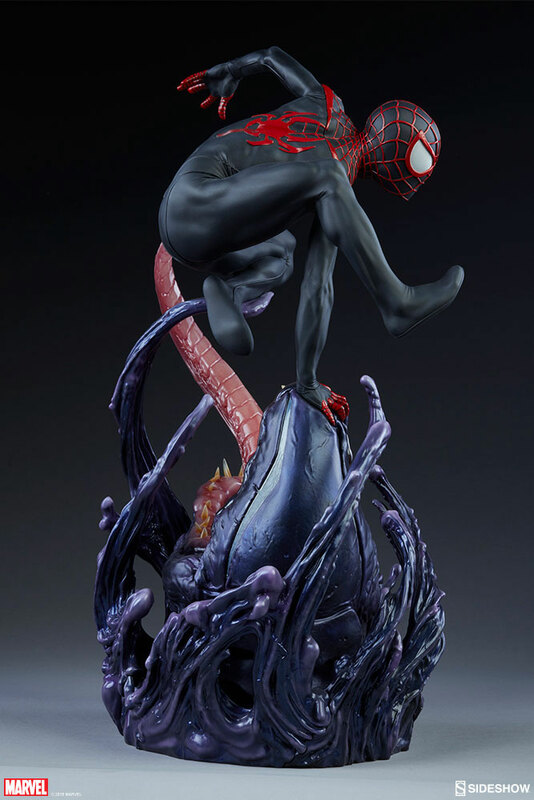 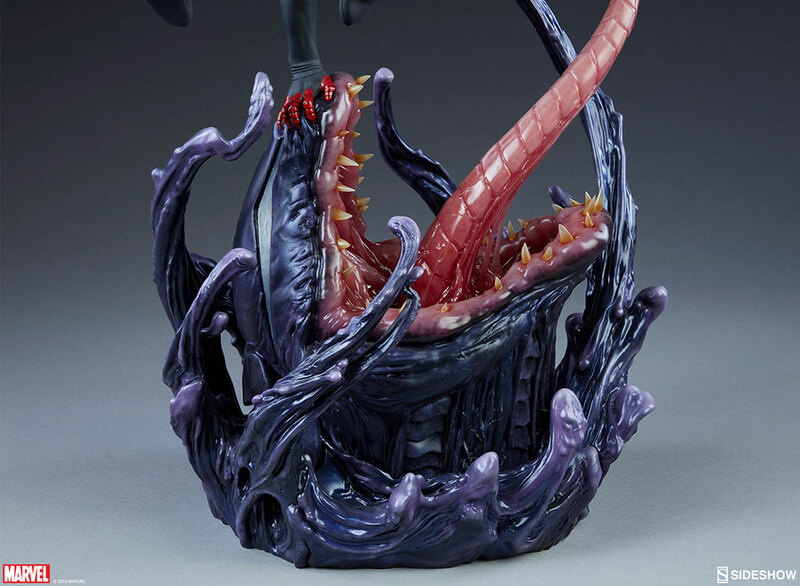 The statue is 17″ tall and depicts Miles vaulting over the gaping maw of Ultimate Venom. 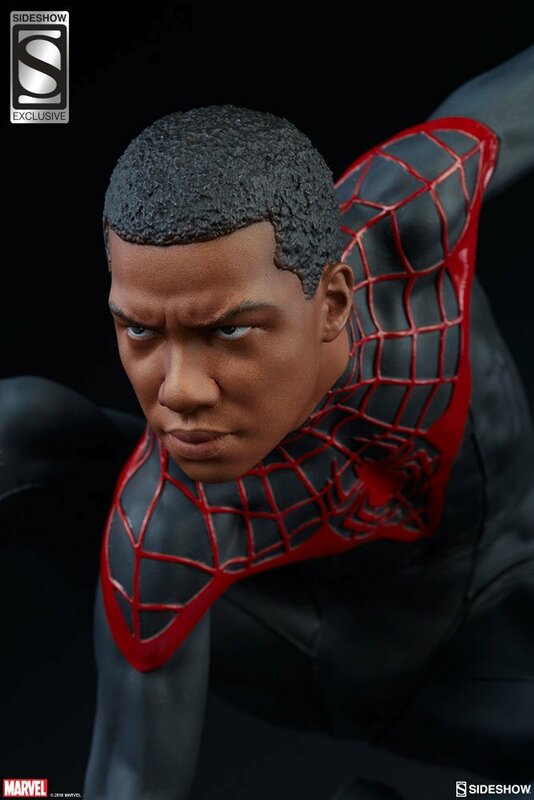 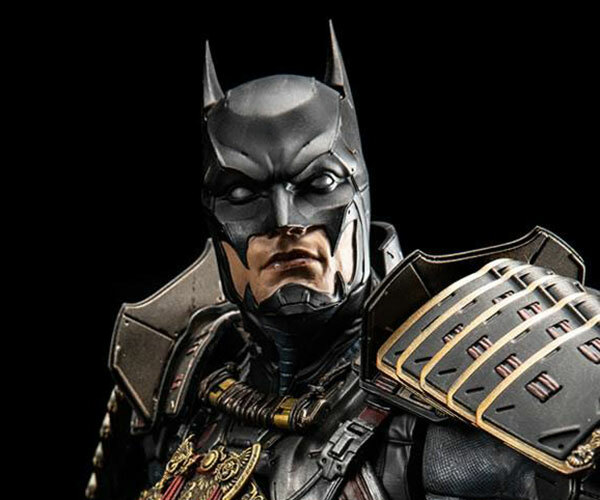 It comes with two extras: an unmasked head and a left hand holding his mask.